Usage Application Power Plant,Steel Plant, Laminate Plant, Plywood Plant. 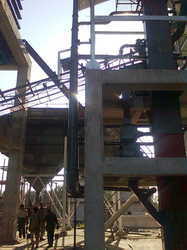 The Coal Handling System, offered by G.S. is used for preparation of coal/lignite/agro fuels to be used as a fuel in FBC Boilers, Hot Air Generators (Heaters) and other multi fuel fired systems in various industries. 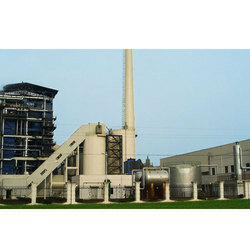 The fuel processing is used to produce fuel of right size suitable as per the specification of the FBC Boilers/Heaters. We at G.S. are capable of conceptualizing, designing, engineering, assembling and installing of custom Coal handling systems thereby acting as a full-service solutions provider. The entire system is conceptualized based on parameters such as fuel to be handled, capacity required, availability of space, processing required, economical considerations, etc. Following are some of the typical fuel handling systems supplied to various clients for handling various fuels. 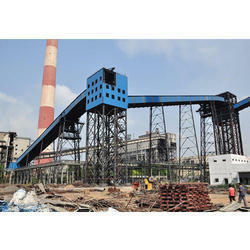 We are leading manufacturer and Supplier of Coal Fire Plant.